Game 3 Set for Tonight! The series shifts to Milwaukee TONIGHT as the Ads host the Wild in Game 3. Catch the intensity of playoff hockey for just $8! Tix as Low as $8! 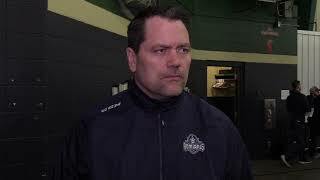 The Admirals return home for game three in a must-win contest against the Iowa Wild. Puck drop is at 7 pm and tickets start at just $8! Get Taught by the Pros! MDHC Coming to the Pettit! Ads d-man Matt Donovan will host a hockey camp for Mites all the way through Midgets this summer at the Pettit Center! The dates are Aug 19-23! Click the link for more info! Justin Kirkland scored the lone goal for the Ads as they fell 6-1 to Iowa in game 2of their first round playoff series. Game 3 is Thursday night at 7 at Panther Arena. 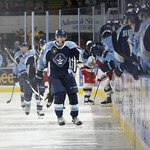 The Admirals return home for game 3 on Thursday night at 7 pm! A tough nine-minute stretch at the end of the second and beginning of the third led to a 6-1 loss for the Admirals in game two against Iowa. The Ads dropped game one of the Central Division Semifinals, losing game 1 to Iowa in Des Moines. 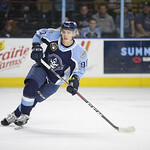 Riding a 14-game point streak (11-0-2-1 to finish the season), the 2018-19 Milwaukee Admirals (36-24-14-2—88 points, second place in the Central Division) are returning to the Calder Cup playoffs as the hottest team in American Hockey League (AHL). 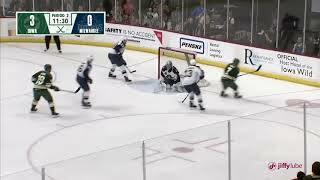 Watch the Ads in the Calder Cup Playoffs! 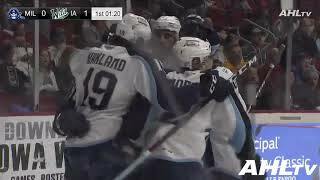 Watch the Admirals as they make their run for the Calder Cup! For just $24.99 you'll get EVERY game for EVERY team all playoffs long! Admirals Center Ice is Back! Admirals Center Ice is back! Each week on Aaron & Wojo will get you caught up on everything you need to know in Admirals land. Catch it on Mondays at 5 pm on The Big 920 or the iHeartRadio app. Or check out all previous shows right here! Check out the ALL NEW Admirals App and get everything Admirals delivered right to your phone! Click here to download! Join the best Crew in Town! Calling all kids 14 and under, Roscoe wants you for his CREW! For just $25 you'll get five tickets for any game next season, a party with the players, and much, much more!